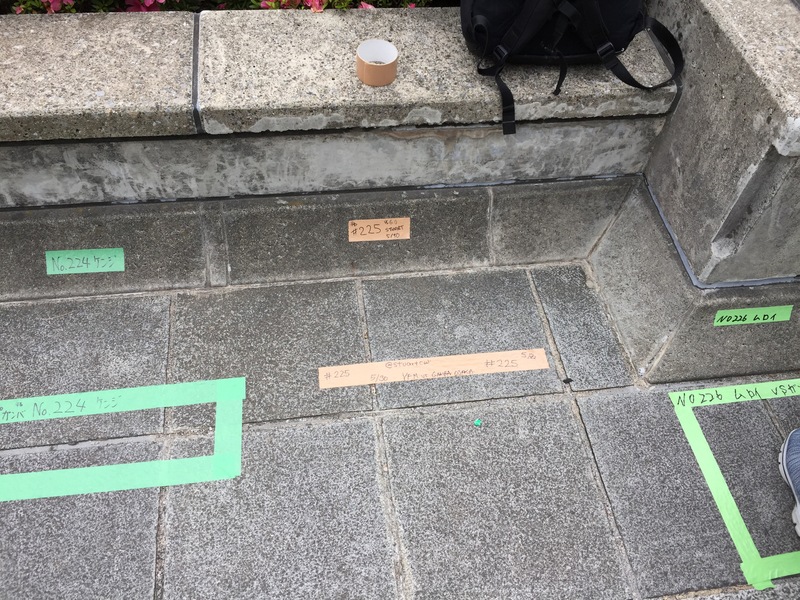 I was just thinking that on match day there is usually a lot of time spent just hanging around and what better way to fill that time is there than knocking out a blog article. At the moment we are feeling pretty happy with ourselves at number four in the table after out decisive win at Matsumoto last week. 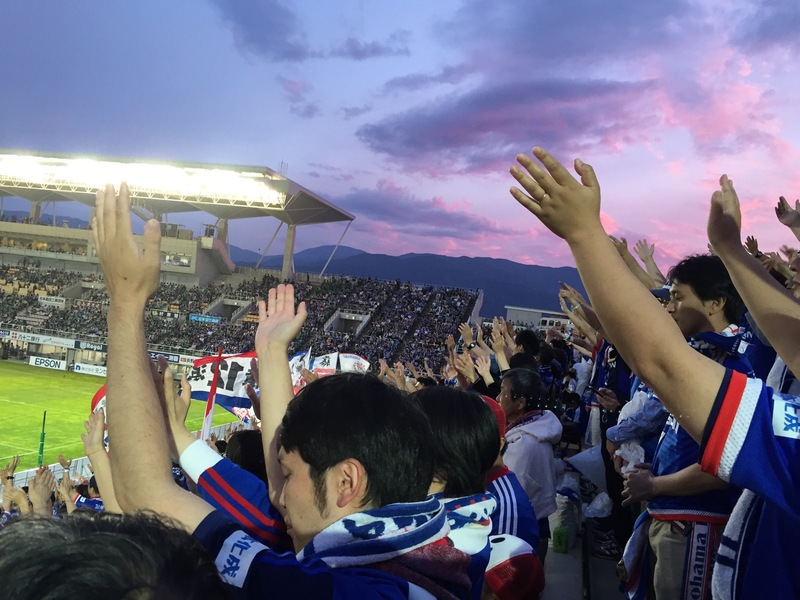 Because of the historical significance of the first meeting with Matsumoto in J1 extra seats were made available for Marinos fans in a second sale and in the end we filled up the whole of the away end of the stadium with over 2500 away supporters. 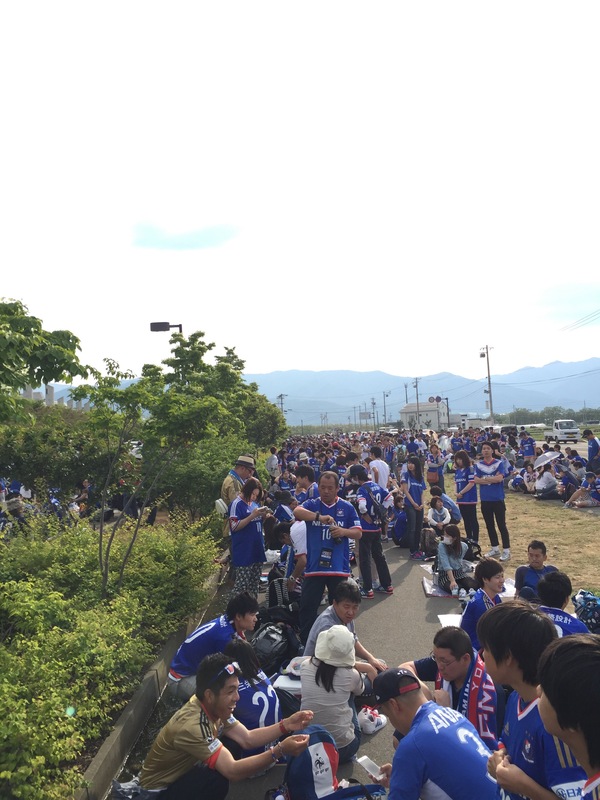 When we arrived, possibly because of the open area where we queued, that I had never seen so many Marinos fans gathered for an away match. Especially at such a distant location. We quickly got out of the sun and and found some shade by the practice ground next to the stadium and cooled ourselves down with some beer. There is a good sales pitch going selling Matsumoto green beer with some fable that the team whose supporters buy the most green beer will win. As the sun set the stadium filled up with stragglers and we settled down to an exciting match. What impressed me most was that Matsumoto, despite being 3-0 down, never gave up. The spirit of Matsuda Naoki looked down on us favourably that day. 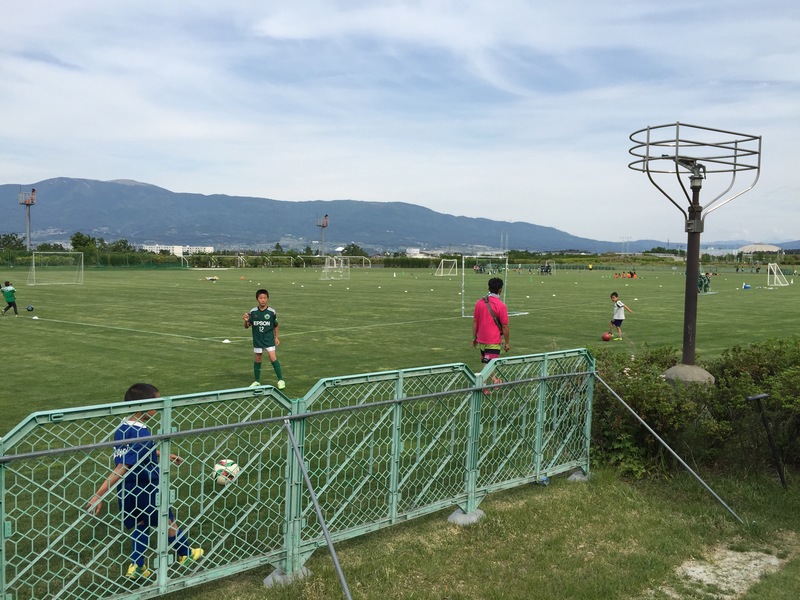 At midweek we were back at Mitsuzawa to meet our local rivals Kawasaki Frontale. The 2-1 to Frontale didn’t represent the spirited attempt that we made to come back but with both teams fielding many reserve members it lead to a fast pace if somewhat scrappy match. 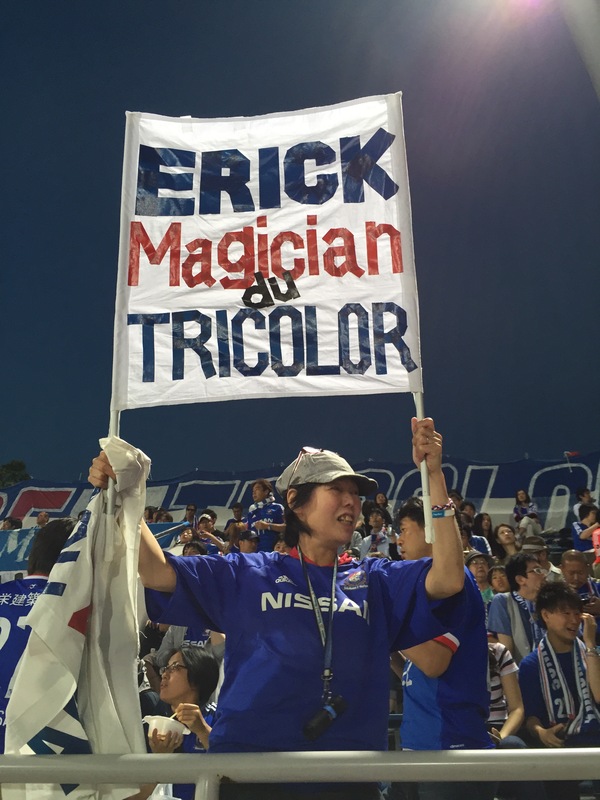 No magic for Marinos this time. It was good to welcome Jamie back for what seems his annual pilgrimage to Yolohama. 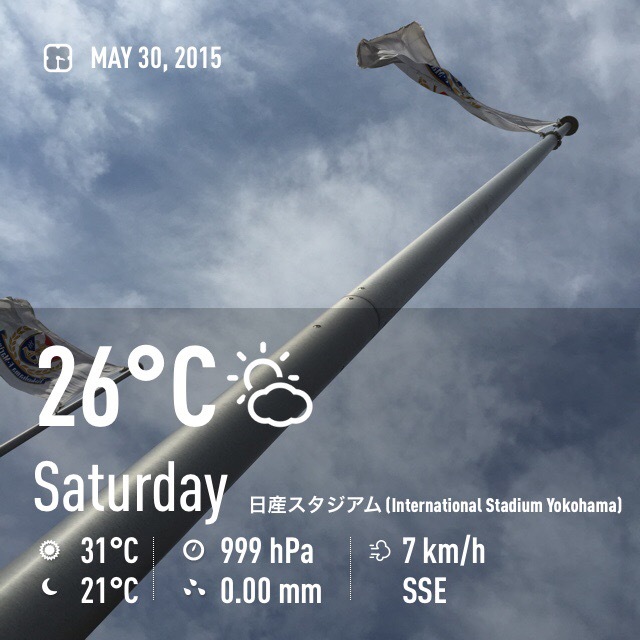 Match day at Nissan today started at 3PM. We pick up our place in the 45 mins before the season ticket holders go in. Taking up the place where we lined up the day before. At 3PM people are starting to arrive. By four thirty the queue has formed. The match against Gamba today will be memorable for many reasons. We were awarded a penalty early for on and Admilson easily tapped it in. In the second half we all started to feel worse for wear and realised it wasn’t the amount of alcohol that had imbibed but the earth had moved for us. 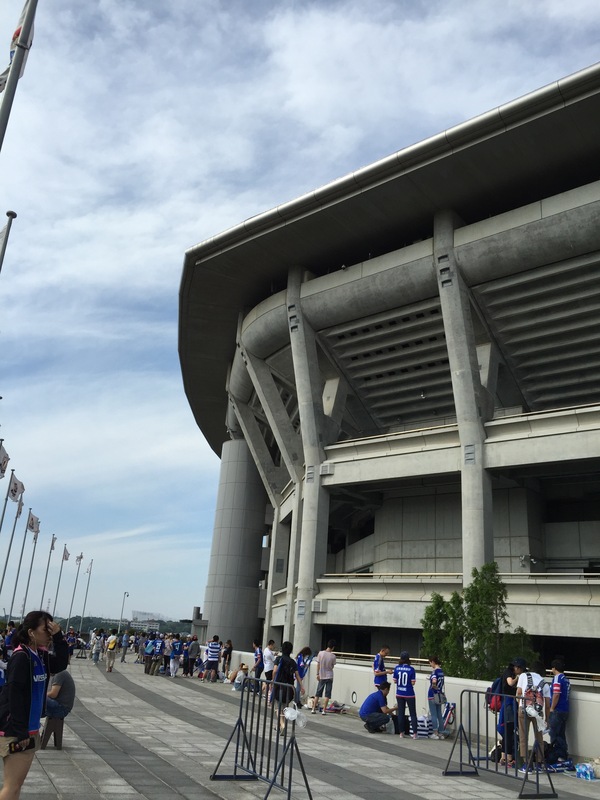 There had been a huge earthquake deep under the sea and the vibrations were felt as far away as Nissan Stadium. The game was stopped and the players took an impromptu break until they figured out how to fix the match clock and then the game was restarted. The stadium was swelled with oglers keen to see Usami but tonight they were not in luck tonight. However just as we were pulling out our umbrellas Gamba equalised from a free kick in referees discretionary time. It was a valiant fight but out fortunes turned at the last moment. The trains were messed up on the way home due to the earthquake leading to some interesting journeys home. 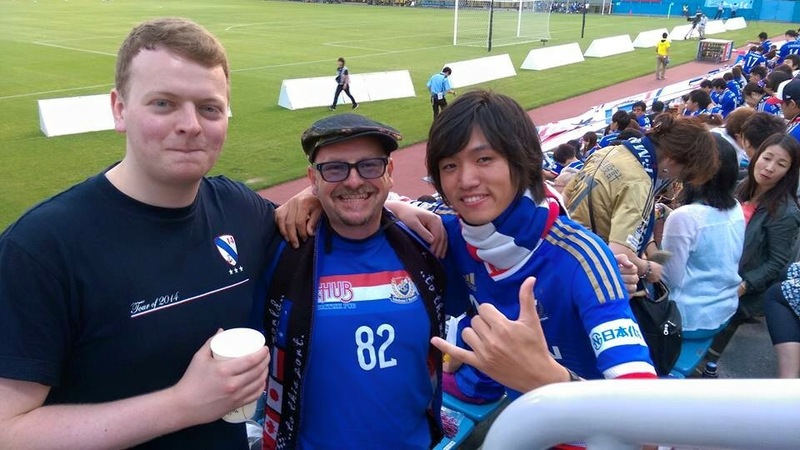 This entry was posted in Match Reports and tagged Gamba Osaka. Bookmark the permalink.